25 years and 2 Interview | Cosa Mi Metto??? This is the little birthday cake on witch I blowed out the candles at breakfast just few hours before flying to NY. Questa è la piccola torta di compleanno su cui ho spento le candeline a colazione solo qualche ora prima di prendere l'aereo per NY. While I was in NY, two interview about me have been published: one is on the fashion website Giglio.com, the other on the fashion blog 4-Lexi: what do you think about them? In the next post.. the first photos of NY! Mentre ero a NY, sono state pubblicate due interviste su di me, una sul sito di moda Giglio.com, l'altra sul blog di moda 4-Lexi: cosa ne pensate???? Nel prossimo post.. le prime foto di NY! Awww, you look so cute with that little birthday cake! May this be a great year for you :) Also congrats on your interview! Kudos for getting on the fashion site. You rock! And happy birthday! 25 is so young. Happy birthday and all the best... lovely pictures! Happy birthday!!! And a happy new year!!!!!! Very nice cake! Muak! Per prima cosa Buon compleanno e buon anno nuovo! Grazie per il commento sul mio blog io già ti seguivo da tempo!!! Non credo di sbagliarmi ma anche tu già mi seguivi :)!!! Il follow era per le tue lettrici, :)))!!! Non vedo l'ora di vedere le tue foto di NY!!! Sono davvero curiosa! Oh, cute cake and nice idea. I like such cakes. Congrats ! Happy birthday ! Hi!thank you for your coment, I like your blog and I follow you!You are beautiful!Kisses and Happy birthday! Happy birthday!! you have an amazing blog!! i hope to see what you got for your birthday!! Happy Birthday and congratulations on the interview! "What was the best comment you ever received from a reader? Wow.. Happy Birthday darling! Hope u have a gr8 one!! Aspettiamo le foto di NY! non vedo l'ora di vedere le foto di ny! HAPPY HAPPY 25!!! I LOVE THAT LIL' cupcake! and thanks for your comment :D of course we can follow eachother! have a good trip darling! Happy birthday! In last three posts you look great as allways. :) Enjoy your time in NY!!! Haha, the mini cake is so cute!! the interviews are amazing and you look very beautifull. Aww Happy Birthday! May all your wishes come true! And congrats on the interviews! P.S. : That is such a cute cake! mmm yummy cake!! happy B-day! What a lovely picture with your family!! Thank you for dropping by mine. Thanks for the lovely comment in my blog! That tiny cake of yours is so cute! I liked Giglio, but couldn't even figure out how to leave a comment (I don't FaceBook), so WTF?? But 4-Lexi was easy to navigate, and I tend to like things that are user-friendly. Happy Birthday, and Good Luck! Congratulations on your interviews, I hope you had a lovely time in NY. Happy birthday! Happy belated my dear! Hope you had an awesome birthday and a great new year! Happy birthday! * i wish you the best! Super cute little cake! Happy Birthday! Great Blog. Thank You, for visiting my blog. I am flollowing you Now, on Google and Bloglovin. Such a cute cake. Happy Birthday! @Lunapark Queen: yes!! It’s you!!!! Your first email meant a lot to me.. Many others bloggers write emails to me, but none was like your first mail! @deadlyinlove: because it was only to blow out the candles early in the morning cause me and Luca had a plane to NY! Thank you so much for all your wishes and your lovely words! Grazie mille per tutti i vostri auguri e le vostre adorabili parole! Happy B-day and congrats on your interviews ! For 6 months blogging your going amazingly well ! Saúde, Sucesso e Felicidades sempre! 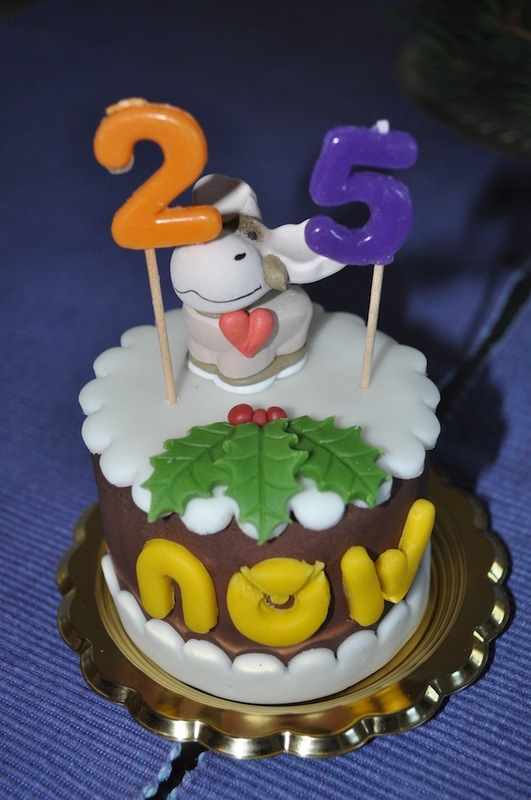 the cake is so cute too.thaks for your comment, following you! Happy Birthday! What a cute cake! Ma che bello! Allora sei di gennaio!Anche io, il mio comnpleanno è il 10 gennaio! ps. : scusami gli enventuali errori in italiano!